Loyalty cards can be a way for retail customers to make savings on future purchases. Each time a consumer makes a purchase in a certain store and hands over their loyalty card, they are awarded ‘points’ or something similar. These points have a monetary value which can be knocked off the price of goods. For example, a point might be worth one penny off a future purchase. The number of points awarded varies but as an example, one major retailer offers 4 points (worth 4 pence) for every one pound spent. As well as money off goods, loyalty cards can also sometimes be traded in for air miles or other benefits. Loyalty schemes are massively popular, but are they worth it and can you work the system? In this article we'll look at some of the major loyalty schemes, their pros and cons and how to make the most of them. Are loyalty card schemes worth the effort? If you signed up to every loyalty card scheme going, your purse or wallet would soon get pretty full! Some people wonder whether it’s actually worth the effort of using a loyalty card and whether they really save much money in the long run. Criticisms have also been levelled at loyalty card schemes, pointing out that they can be very hard to understand, quantify and compare. However, to be fair loyalty cards don’t take much effort at all once you’re signed up and you’ll regularly be asked for one at the till either way. Additionally, many people do find them a useful way to save money on both everyday items and luxury treats. Remember that although loyalty card schemes can save you money, they can also mean you end up spending unnecessarily if you’re not careful. 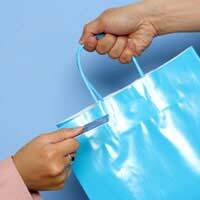 Look for the best value product before you are lured by the loyalty cards points. If you can get it cheaper somewhere else, do so. Don’t stop shopping around. Remember that although points will get you money off, they are not as good as actual money savings in the first place. You can usually only spend loyalty points in one place. If the place you shop has a loyalty card scheme there is really nothing to lose by using it to your full advantage. You’d be spending the money anyway, right? However, choosing where you shop based on whether they have a loyalty card scheme is not recommended. There are a few ways you can earn the maximum number of points and save more money in the long run. Some loyalty card schemes will award extra points if you spend over a certain amount. Rather than buying items here and there, it could be worth waiting and making a lot of purchases (that you need) all together so that you can take advantage of these offers. Some retailers offer extra loyalty card reward points at certain times, for example over particular weekends or at specified times of the day. It can be worth doing this as offers can be up to three times the standard points in some cases. Look out for offers and promotions that can be used in conjunction with loyalty card offers.